As the newly appointed Governor of the Bahamas in 1940, the Duke of Windsor found himself in a challenging role with conflicting public expectations. While the wealthy merchants of Bay Street, Nassau expected the the Duke to act as a figurehead who would attract tourism to the island, the impoverished inhabitants of the outer islands hoped that a royal Governor would have the authority to alleviate their living conditions. The Duke of Windsor was not pleased to be posted to the Bahamas for the duration of the Second World War but he was determined to fulfill the duties of the post and govern the islands independently rather than simply represent the interests of the Nassau merchants. The question of where the royal couple would live during the renovations created controversy. The Duke favoured an extended visit to his ranch in Alberta but the British government did not favour this solution. Departure for Canada would create the appearance that the royal couple were abandoning the Bahamas within weeks of accepting the post. The Duke and Duchess ultimately accepted the hospitality of Canadian expatriate industrialist Harry Oakes, who hosted the royal couple at his mansion, Westbourne, in Nassau. The Duchess of Windsor devoted her energies to the renovation of Government House. She wrote to her Aunt, Bessie Merryman in September, 1940, “[T]ogether we are going to dish this shack up so that at least one isn’t ashamed of asking the local horrors here.” Improvements included modern decor with regency accents, wallpapers imported from New York and a fresh coat of paint, including a room painted the colour of the Duchess’s favourite face powder. 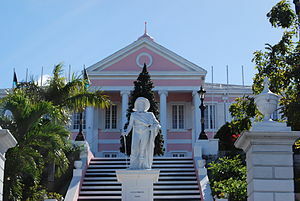 The Bahamian House of Assembly authorized £2000 for the work on Government House but costs far exceeded this amount and the royal couple personally funded many of the renovations. 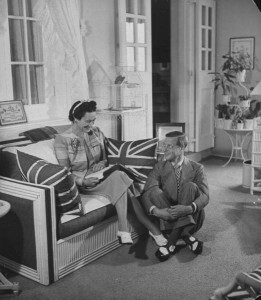 The Duke of Windsor found that it was easier to renovate his Bahamanian residence than address the longstanding social inequality on the islands. In a letter to his legal advisor Walter Monckton, the Duke explained “I have personally rarely seen such slums and squalor as exist in most of the native settlements and many of the Out Islands have no doctor at all. . .At the same time, I am afraid it will always be a struggle to get Bay Street to devote money to any project that does not directly benefit themselves, and the colour problem is particularly acute and bitter.” The Duke set up an economic advisory committee to address these issues but his ability to improve conditions on the Out Islands was limited by the influence of the Bay Street merchants and his own paternalistic attitude toward Bahamians of African descent. 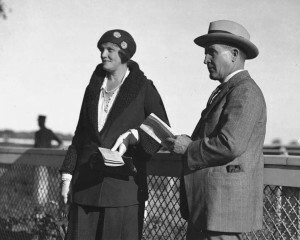 Nevertheless, at the time of the Duke and Duchess of Windsor’s departure from the Bahamas in 1945, one of the Duke’s fiercest critics in Nassau, Daily Tribune editor Etienne Dupuch wrote that he had become convinced that the Governor was “genuinely trying to do his best for the islands and the people – and especially for sections of the Colony that had long been neglected by selfish political interests centred in Nassau.” The Duke of Windsor’s Out Island development plan received £400,000 from the House of Assembly over the course of eight years for improvements to these impoverished regions. Marigny was ultimately acquitted but deported from the Bahamas as “an undesirable alien” and fled to Canada, where he served in the Canadian forces in 1945. 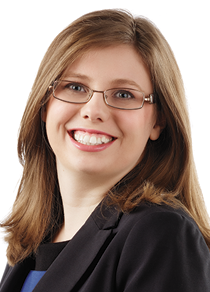 No other suspects were charged and Oakes’s murder remains unsolved. 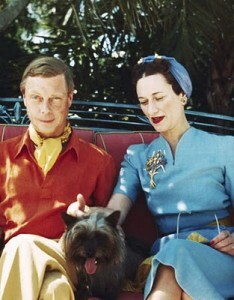 The Duke of Windsor’s interference in the case fuelled a number of unfounded rumours about the royal couple’s relationship with Oakes including speculation that Oakes and the Duke were involved in a German money laundering scheme or that Oakes was having an affair with the Duchess at the time of his murder. 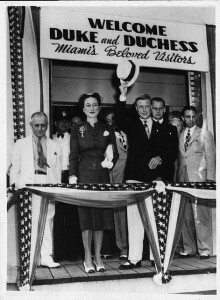 At the time of Marigny’s trial, the Duke and Duchess of Windsor were in the United States, one of many visits made by the royal couple over the course of their tenure in the Bahamas. The Duke viewed fostering economic links between the United States and the Bahamas as part of his role as Governor but the British government was alarmed by his frank expression of what appeared to be defeatist sentiments during his American visits. British Prime Minister Winston Churchill was dismayed when the Duke of Windsor appeared to question Great Britain’s ability to achieve victory over Hitler’s Germany in a frank interview with Liberty magazine in 1941. The Duke of Windsor met with President Franklin Roosevelt to discuss American investment in the Bahamas on a number of occasions but the royal couple’s visits to the United States during wartime received criticism because of their perceived defeatism and extravagant travel expenses. 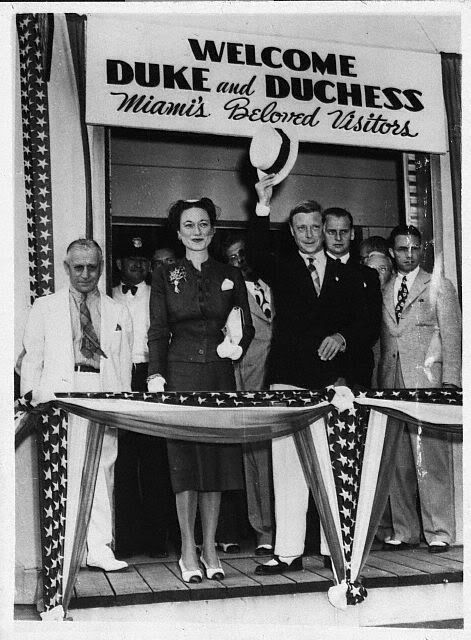 The Duke of Windsor actually enjoyed some successes as Governor including securing funding for the development of the Out Islands and developing a closer relationship between the Bahamas and the United States. The Duke and Duchess of Windsor’s positive impact on the Bahamas, however, was overshadowed by the Harry Oakes murder mystery, which remains unsolved to the present day and their perceived defeatist sentiments during the Second World War. Philip Ziegler, King Edward VIII: A Biography, Phoenix Mill: Sutton Publishing, 2001. 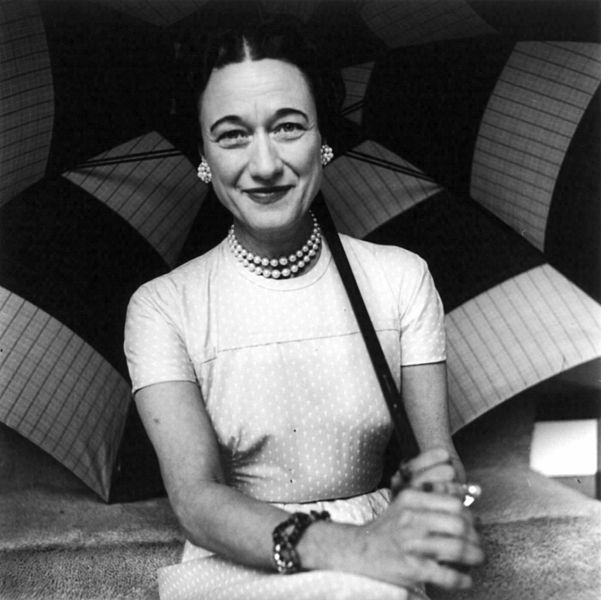 Anne Sebba, That Woman: The Life of Wallis Simpson, Duchess of Windsor, London: Phoenix, 2011. 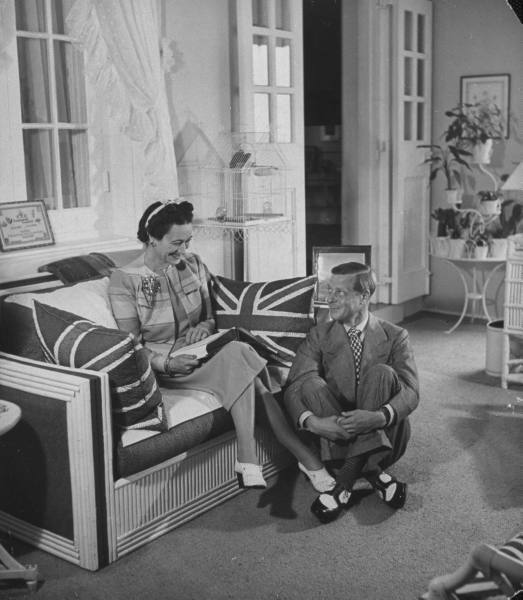 Owen Platt, The Royal Governor…..and the Duchess: The Duke and Duchess of Windsor in the Bahamas 1940-1945, Lincoln: iUniverse, 2003. We are looking for photos of the Duke and Duchess of Windsor in the Bahamas over this period with a local child entertainer at the time. He is currently 81 years old. He danced for the Duke and Duchess wearing a little red suit. He ate ice cream with the duchess sitting on her lap. His name is Peanuts Taylor. Night club owner of The Drumbeat Club, Nassau Bahamas. A book is being written about his life. We appreciate your assistance with this. this is very interesting.